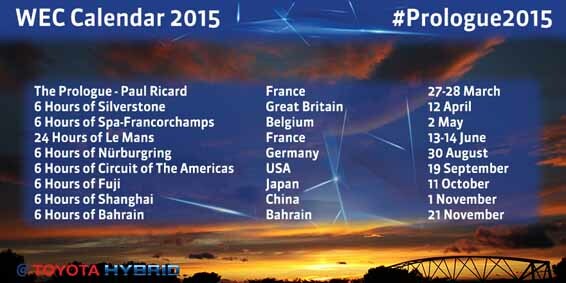 Toyota Racing are ready to launch the defence of their two world titles in the 2015 FIA World Endurance Championship. 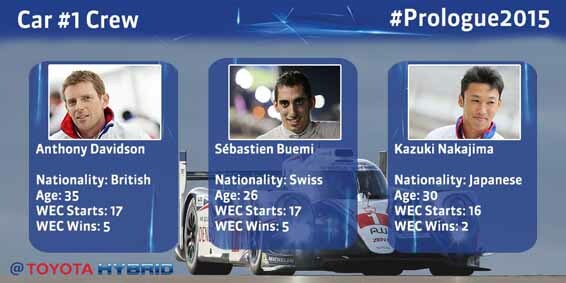 Last year Toyota became the first Japanese company to claim the WEC manufacturer’s championship in a very successful season that also saw its drivers Anthony Davidson and Sébastien Buemi share the drivers’ title. 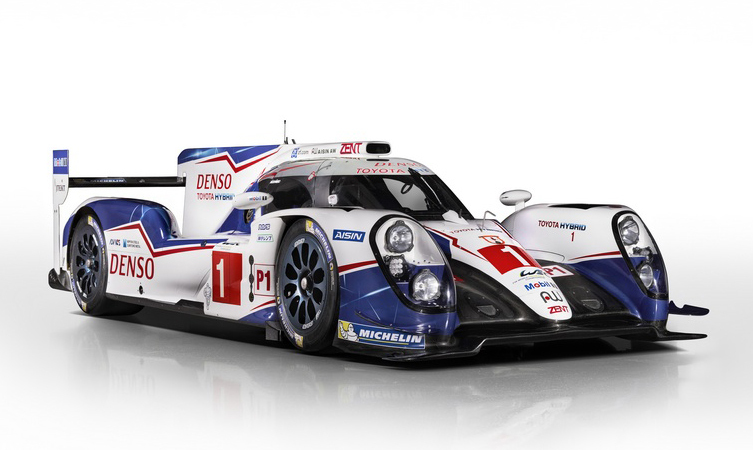 In an era of sportscar racing where energy efficiency is a key performance factor, the TS040 Hybrid proved itself the class of the field, taking five wins from eight races. The championship-winning car has been updated for 2015, with revised aerodynamics, a new front-end design and changes to the suspension to improve tyre wear. Weight-saving measures have also been introduced. It will again compete in the championship’s 6MJ hybrid category, with the benefit of modifications to its supercapacitor to increase performance. The team have prepared two aerodynamic packages for 2015, both of which are being tested at the Paul Ricard circuit in France this week. The Le Mans option is better suited to the high-speed track used for the 24-hour race, while the sprint package is designed to generate higher levels of downforce. The development programme began straight after last year’s Le Mans 24 Hours and the car was tested for the first time, at Paul Ricard, on 13 January. Two further three-day tests at different tracks have allowed the team to complete more than 25,000km prior to today’s official launch. British driver Davidson and his Swiss team-mate Buemi will share the No1 car with Kazuki Nakajima (Japan), who is scheduled to complete his first full WEC season. 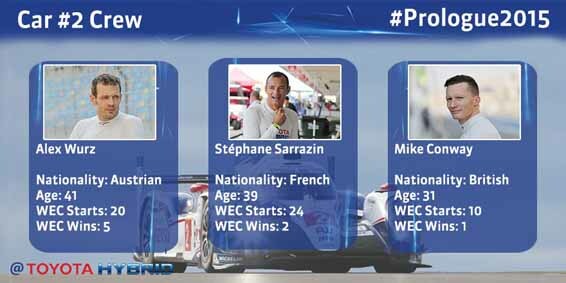 The No2 car will feature Alex Wurz (Austria) and Stéphane Sarrazin (France) with Briton Mike Conway. Conway was previously the team’s test and reserve driver and was called up to race three times in 2014, including a race-winning appearance in the Six Hours of Bahrain. Toyota Motorsport’s President Yoshiaki Kinoshita is returning to Japan in April, a move that is normal practice for Toyota executives worldwide. Having secured the long-term future of the WEC project, won the World Championship and sealed a return to the World Rally Championship, his mission is complete and he will depart after the Six Hours of Silverstone. For more information about Toyota Racing and Toyota motorsport, visit www.toyotahybridracing.com and www.toyota-motorsport.com.